The pens and pencils in our homes at behind a locked door, where my baby and toddler cannot get them. They are allowed to draw at the dining table when I am there. This is how I try to avoid pen all over the walls. 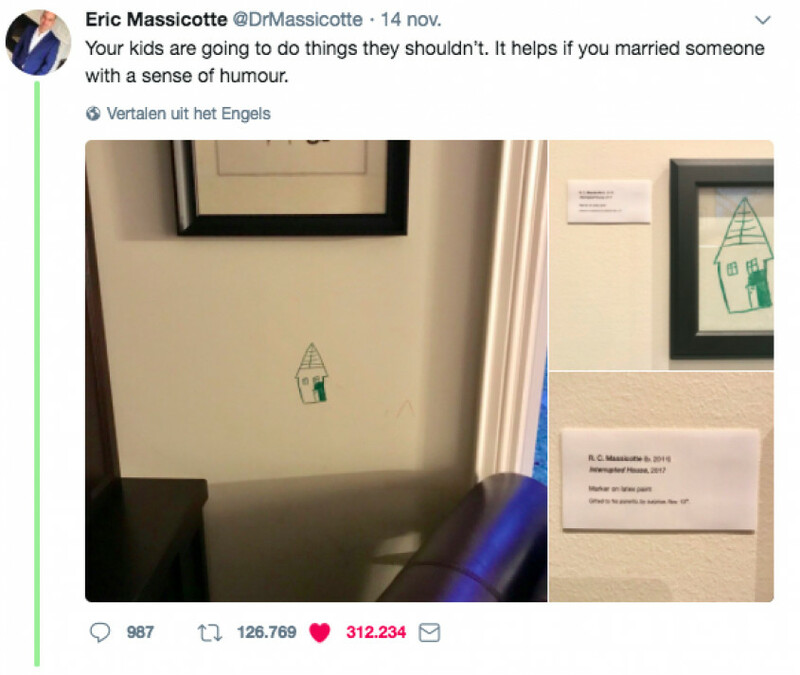 Parents Eric and Kim should have thought about this a bit better. 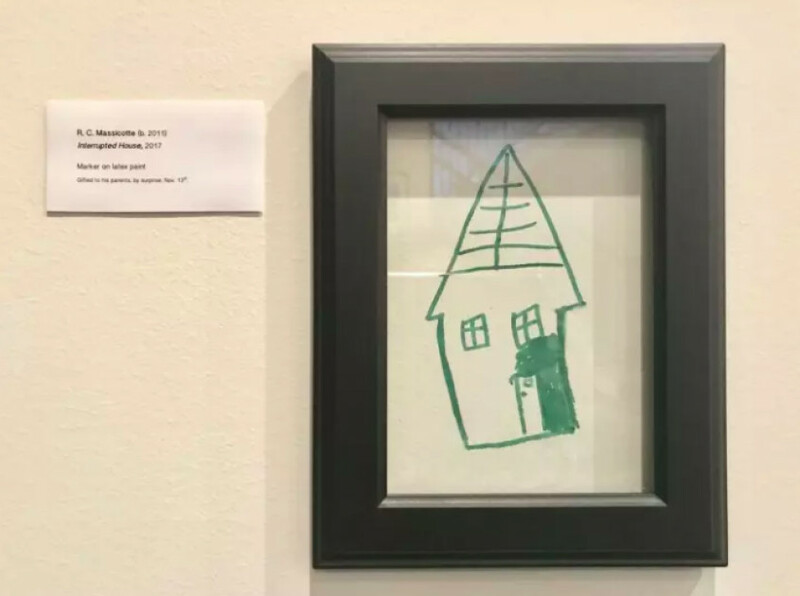 In an unguarded moment their son Ryan was able to draw a house on the wall. It happens to several parents and it will undoubtedly happen to me once. 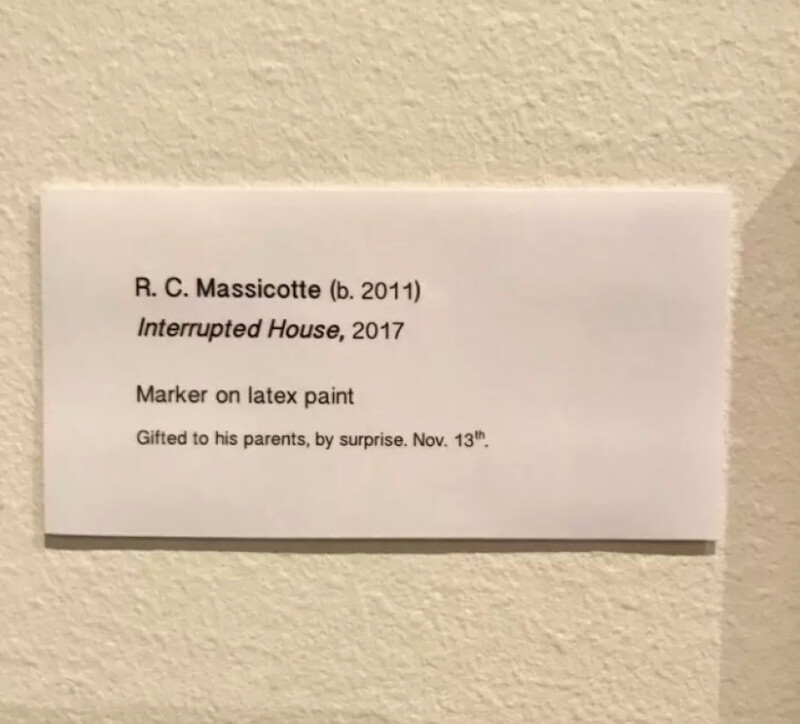 Mother Kim fortunately appeared to have a good dose of humor and found a creative solution for the drawing that her son had left behind. We had to laugh at the card - it's like it's a real museum! Father Eric posted this on his Twitter timeline. 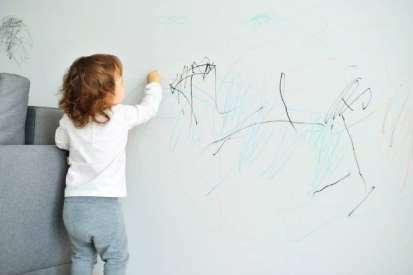 Any more tips for when the next toddler scrawls on a wall?